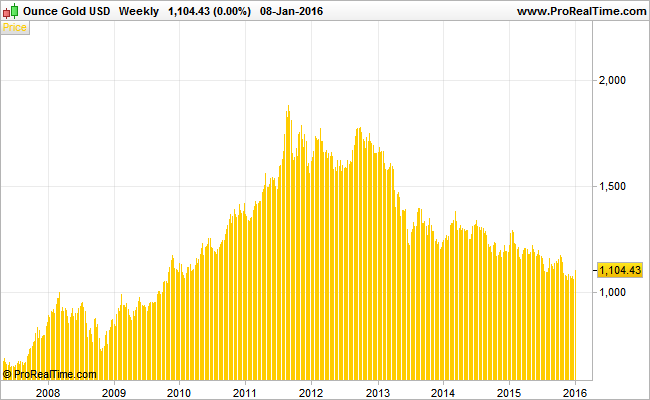 Gold prices have been front-page news since the global financial crisis. Seen as a safe-haven from inflation-conjuring central bank quantitative easing policies, the yellow metal has been on a roller coaster ride in recent years. Since 2008, gold priced in US dollars rose from below $1000 per ounce to its all-time high of $1921 in September 2011. Since then however, gold has struggled to hold onto its gains; trending lower for the past five years. Most surprisingly, is that despite continued and accelerated attempts by central bank to reinvigorate their domestic economies since 2011, the price of gold has been trending lower, currently hovering precariously above the key psychological level of $1000 per ounce. Gold prices are heavily correlated to the US dollar because settlement is done in US dollars and most central banks around the world still use US dollars as their prime reserve currency. This is gradually changing with the BRICS countries (Brazil, Russia, India, China, South Africa) gradually diversifying their reserve portfolios towards the Euro, Yen and Swiss franc. Looking deeper, gold has not actually underperformed as badly as many may assume. If looking at gold priced in US dollars, a steady decline is clear. But when gold prices are measured in other currencies, several interesting insights become visible. 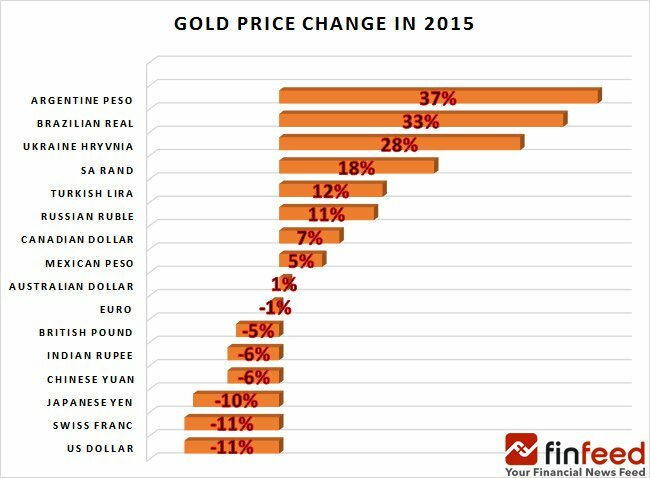 Over the course of 2015, Gold was 11% lower against the US dollar and most ‘major’ currencies, but actually advanced against most others. Of the 16 currencies shown below, Gold was higher against 9 currencies and lower against 7 respectively. The biggest decline for gold came in US dollars and Swiss francs, both down 11%. The next biggest loss was in Japanese yen, down 10% for the year. The strongest performers were the Argentine Peso (+37%), Brazilian Real (+33%), Ukrainian Hryvnia (+28%) and the South African Rand (+18%). Gold bought with these currencies at the start of 2015 would have generated double digit returns for investors. Broadly speaking, all safe-haven currencies have seen strong appreciation against their G20 counterparts which has in turn, translated into varying performance for the yellow metal. The fact that Gold is priced in US dollars, has inevitably encouraged a gloomy assessment of its performance during 2015 whereas in reality, gold performed rather well globally. Gold has been (and remains to be) an effective inflation hedge in many countries where currencies weakened against the US dollar in 2015. 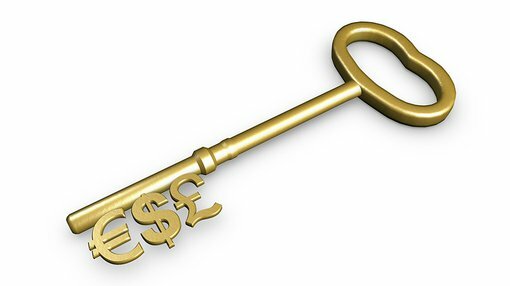 Looking forward, there are several bullish US dollar factors that could see the dollar continue its ascent while Gold languishes in US dollar terms. The Federal Reserve’s (Fed) first interest rate hike in 7 years in December 2015 could potentially be signalling the beginning of a prolonged period of gradual interest rate rises – which helps the US dollar due to diverging yield differentials. 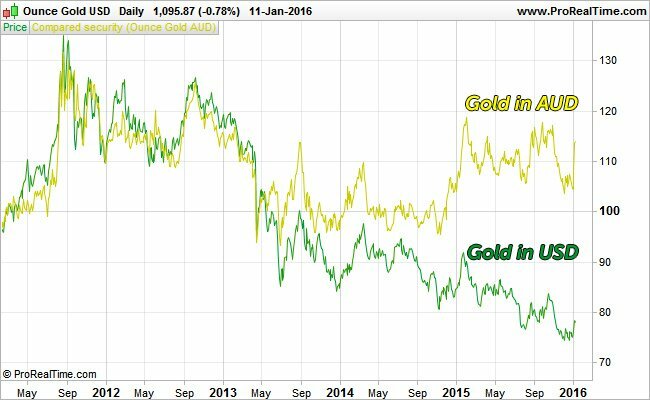 The divergence between gold prices in AUD and gold prices in USD has been widening since 2013, alongside a protracted slide in the AUD/USD currency pair from around 1.05 in 2013 to 0.70 today – a fall of around 35%. However, the counter-effect is also taking root. There is an accelerating trend of de-dollarisation around the globe, as a growing number of nations have opted to drop the dollar and use local currencies in trade. The BRICS in particular are leading the move into forming new economic unions, international funding arrangements, aid provisions and trade agreements in an attempt to circumvent the US dollar and create liberalised trading opportunities without the greenback. As financial markets start the new year with heavy declines seen in all equity indices, in addition to renewed fears emanating from China, the rise of safe-haven currencies may not be at an end. So far this year Gold priced in US dollar has appreciated by 3.2%.